Don Jazzy has signed former Made Men Music R&B star, Iyanya to his Mavin Records. Donjazzy made the announcement via his social media accounts early Monday morning as he welcomed the multi-talented Calabar bred musician into to his crew. The former Project Fame winner joined Donjazzy crew members which include Tiwa Savage, Dr Sid, D’prince, Korede Bello, Rekado Banks, Dija. Following the public and commercial success of its recent event in Manchester, the Ultimate Fighting Chmapionship (UFC) brand is looking to expand in Europe. And Santiago Bernabéu stadium, home of Spanish La Liga football club Real Madrid could be the next destination for the game. Real Madried has revealed interest over the possibility of staging of the event, with McGregor as the headline fight. McGregor, the current Featherweight champion, will be fighting at UFC 205 on November 12th when he faces Eddie Alvarez for the Lightweight belt at Madison Square Garden in New York City. 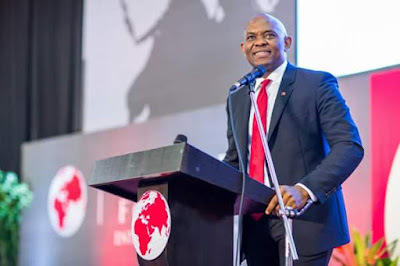 On Friday, October 28th, The Tony Elumelu Foundation (TEF) opened the 2nd TEF Entrepreneurship Forum – the largest gathering of African entrepreneurs and the highlight of the annual TEF Entrepreneurship Programme. The Forum celebrates the 2016 cohort of Elumelu Entrepreneurs – selected from over 45,000 applicants in 54 African countries – and their completion of the Programme’s innovative 12-week online training. On completing the programme Elumelu Entrepreneurs become members of the largest entrepreneurial alumni network in Africa. As part of the TEF Entrepreneurship Programme's 10-year, $100 million commitment, participants are now eligible to receive up to $10,000 seed capital to implement their business plans. Elumelu Entrepreneurs represent sectors as diverse as agriculture and fashion. Thirty-six per cent of those chosen were women, a significant increase on the first year’s twenty-four per cent. Entrepreneurs range from 18 to 54 years old. Microsoft has just introduced the Surface Studio, the company’s first all-in-one Windows 10 PC with "creative professionals" in mind. The new Surface Studio is a 28-inch display, at 192ppi, containing 13.5 million individual pixels, with Microsoft’s TrueColor display technology. Physically, the Surface studio can tilt to vertical down to about 25 degrees above flat, for use as a drawing surface. In a bid to celebrate Nigerian women in sports, Recare limited, makers of Natures Gentle Touch, the only hair care brand formulated for Nigerian women is sponsoring the LGAN Western Zone Open. The LGAN Western Zone is an annual championship that brings together lady golfers. This year’s edition has been scheduled for the 18-hole Sagamu Golf Club in Ogun State from Friday October 28 to Sunday 30, 2016. According to the Zonal Vice President, LGAN, Maureen Odion “the tournament affords the LGAN to assess and rank its players. The top three players that emerges from the event would be prepared and exposed to national and international events. The overall winner is the best gross player over 36 holes”. Friday October 28 is arrival and practice day for all participants at the event while Saturday 29th and Sunday 30th are the main event days. The event include dinner events; welcome cocktail, sponsors’ karaoke night and closing ceremony. BlackBerry released on Tuesday its second smartphone designed and built externally, the latest development in the company's push away from manufacturing handsets as it focuses more on its security software. 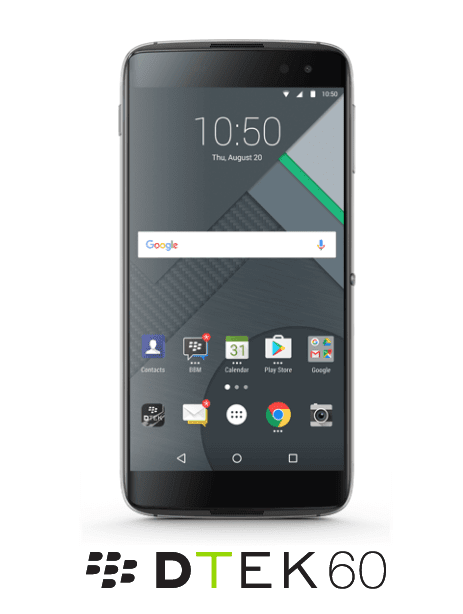 The DTEK60 is another premium Blackberry Android device, just like the Priv. It's the first BB phone to pack a fingerprint sensor, as well as the kind of features usually found on other flagship mobiles. Now available in eight countries: Canada, France, Germany, Spain, Italy, the Netherlands, the U.K., and the U.S. The looping video app launched in 2013 was never a revenue driver for the company, and it was no longer growing. Vine, in a blog post, says all the immense content uploaded to the app isn't going anywhere: The website will remain online and "you'll be able to access and download your Vines." 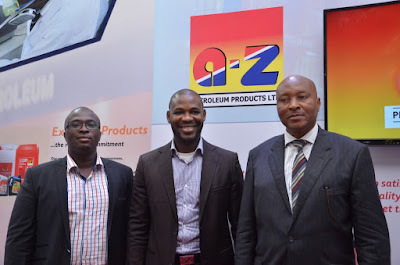 A-Z Petroleum, a key player in the downstream oil and gas industry and one of the 13 subsidiaries of Chicason Group has reiterated its commitment to the Nigerian downstream oil industry. The company which made its presence known at the just concluded Oil Trading and Logistics Expo where a wide range of their products were showcased, has promised its support for the sector to grow awareness and project the image of the industry. The company also shared some of its experiences in the downstream sector like counterfeiting of petroleum products and fake lubricants being brought into the market. They however assured Nigerians that the view for the Nigerian downstream sector is looking very positive and hope that these issues will be addressed to create room for more manufacturing in the country. L-R: Umunna Chukwuma, Quality Assurance Manager A-Z Petroleum, Dikanna Okafor, Executive Director Corporate Services A-Z Petroleum & Ameachi A. Chukwu, Head Marketing Research& Development, A-Z Petroleum at the 10th Oil Trading and Logistics Expo in Lagos recently. Photo: A-Z Petroleum products Limited. ’We constantly seek opportunities to reiterate our commitment in the industry and this is one event we are excited to have being part of. Every developed country is driven by industrialization and one thing common in industrialization is machineries that need lubricants to function effectively. As an economy grows, more cars will be on the roads and this would mean increased use of petroleum products which A-Z has ensured with its production of high quality lubricants and greases. Also, the minimal involvement of the Government in the downstream sector has led to efficiency and improved service delivery to customers’. 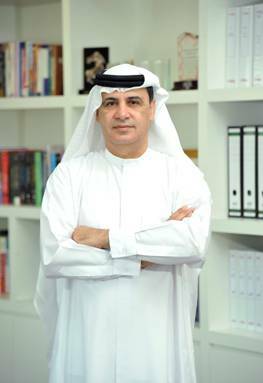 Emirates Aviation University on Thursday, October 27, announced the introduction of a new Executive MBA Programme in Aviation Management in collaboration with Coventry University in the UK. The specialised programme will begin in January 2017 and applications will now be accepted on EAU’s website. The Executive MBA curriculum was designed for students who plan to pursue a career in aviation management or want to transition from an operational role into a general management role. Professionals enrolled in the programme will benefit from the dynamic structure as the course is set to be delivered in both Dubai and the UK. As a growing aviation hub and home to one of the world’s fastest growing airlines, Dubai will be the ideal place for Aviation Management MBA students to learn about the industry. 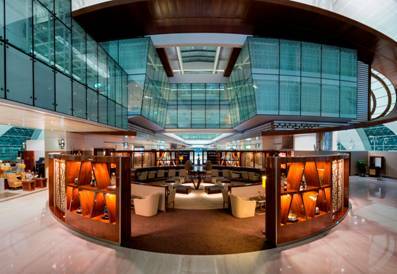 While in Dubai to study the first three modules, students will have the opportunity to visit and see first-hand the breadth of operations in aviation-relevant organisations such as Emirates, Dubai International Airport, Al Maktoum International Airport and dnata. In the UK, students will also have the opportunity for organised visits to a range of organisations within the aviation sector. All enrolled students will need to attend modules at both locations to complete the course. SAP announced the opening of Africa's first ever SAP Co-Innovation Lab (COIL). With a strong focus on collaboration, the lab offers a hands-on environment for SAP to innovate jointly with software solution partners, system integrators and technology partners on current and future technologies. The aim of the lab is to increase competitive advantages, driven by greater efficiency and productivity on the African continent, with the ultimate goal to satisfy the demands of customers driven by digital transformation. "Not only is innovation key to survival in today's economy," said Brett Parker, Managing Director of SAP Africa, "but the speed at which you are able to transform is becoming increasingly critical. Far too often, great ideas are lost. Consequently, businesses are looking for smarter, quicker and more efficient ways to innovate." Leading manufacturer and marketer of tasty and satisfying convenience foods, UAC Foods Limited (UFL), has assured loyal consumers of its commitment to sustain its lasting legacy of superior quality. The assurance is the latest demonstration of the iconic brand’s desire to maintain its enviable culture of top quality that has lasted for over 50 years. 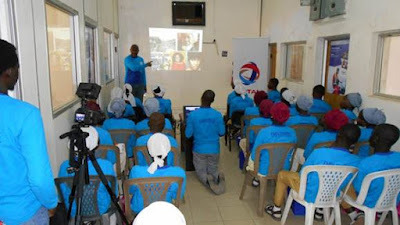 Speaking during a factory tour held recently in Lagos, General Manager, Marketing UAC Foods Limited, Ms. Joan Ihekwaba assured that Gala has and will continue to identify with the aspirations of Nigerians and their appetites for success. “Gala Sausage Roll is a household name which has being servicing Nigerians since 1962. UAC Foods over the years has fed Nigerians with the best of quality fast food across all stables. We have a heritage of quality behind our name and we are working hard to sustain and consistently live up to that name” she said. L-R: Folasade Abiola, Senior Brand Manager, Snacks, UAC Foods Limited; Joan Ihekwaba, General Manager, Marketing, UAC Foods Limited; Abdulazeez Isiaka, Marketing Services Manager, UAC Foods Limited; Victoria Ewanlen, Quality Assurance Manager, UAC Foods Limited and Gentlemen of the press at the factory tour held at UAC Foods Limited. The factory tour provided journalists the opportunity to have a firsthand assessment of the company’s facilities used in the production of Gala Sausage roll. 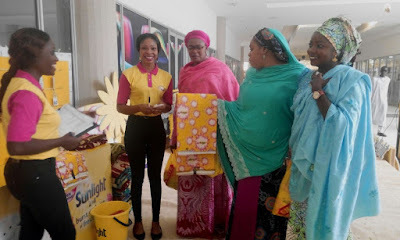 Commenting on the superior value offering of the brand, Ihekwaba added that “the brand is the first Sausage Roll in Nigeria to include micronutrients for the health and nutrition of its consumers. The product is enriched with vitamins and minerals such as zinc, iron, folic acid and iodine, as well as Vitamin B1 and B2. It is prepared from pure beef filling and rich pastry that are sourced in Nigeria”. As part of its contributions to the development of sports in Nigeria as well as ensuring continuity between the older generation of athletes and the younger ones, Heritage Bank Plc, in partnership with the Lagos State government, is targeting the youth in its forthcoming signature sports event, the Skoolimpics project. The event which is billed to take place between November 2nd and 4th at the Teslim Balogun Stadium and Rowe Park, will be bringing together, over 200 public and private secondary schools with about 6,000 students competing across all the local government areas in the state. 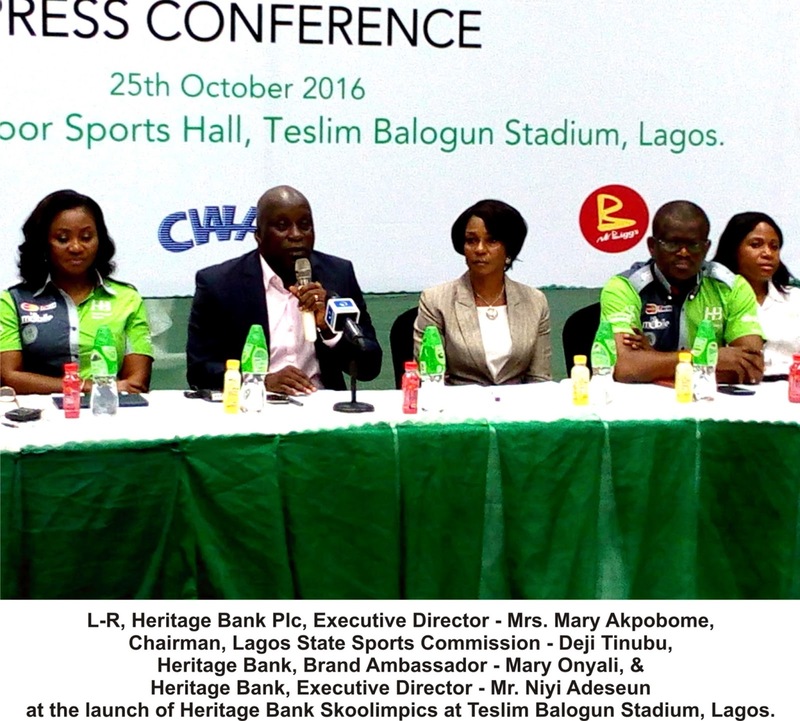 In his address at a media briefing in Lagos, Chief Executive Officer of Heritage Bank, Ifie Sekibo, who was ably represented by Mary Akpobome, an executive director of the bank, explained that Skoolimpics targets development of young people in order to foster their physical, social and emotional wellbeing. Physical education and sports, he said, help in character and community building, delinquency reduction, community safety, economic and social development. 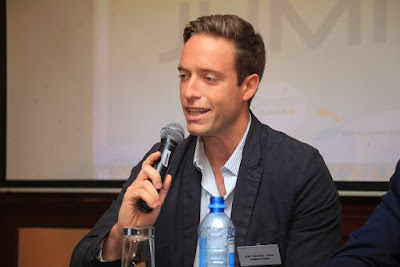 Jumia Food is launching a game changing innovation to further boost their customer experience. They have launched an on-time delivery guarantee for all Jumia Food App users, a first of its kind in Africa. Jumia Food is the largest online food delivery platform in Africa and has already introduced several innovations in recent years aimed at delivery efficiency, reach and easy user interface for their applications. Expediting the delivery process while giving customers full information on their orders in real time is certainly revolutionary even by their standards. The new feature is intended to fasten delivery process, increase convenience and add more transparency to the food ordering process. Jumia Food has mastered the art of food delivery through breaking down the whole process into a science, so as to satisfy the customers’ demand for food-on the go and shorter delivery times. 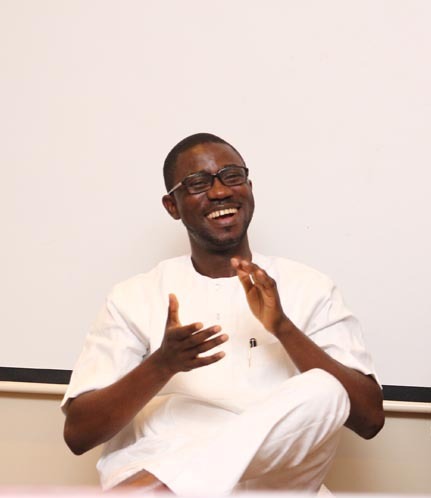 Here is a statement from the Managing Director of Black House Media, Ayeni Adekunle on his stance about EiE’s New Media Conference invitation. I’ve followed with curious attention, the conversations surrounding the addition of a Nigerian celebrity Bobrisky to a panel on the new media Citizens, and governance conference which opened in Abuja yesterday. Since the chief organizer Yemi Adamolekun called me yesterday morning to inform that an aide of President Buhari had pulled out, as well as an executive at a consulting firm. I’ve read the arguments for and against, listened to my colleagues and associates’ views, including Mr. Femi Falodun, the COO of ID Africa, who actually is on the same panel as Bobrisky. 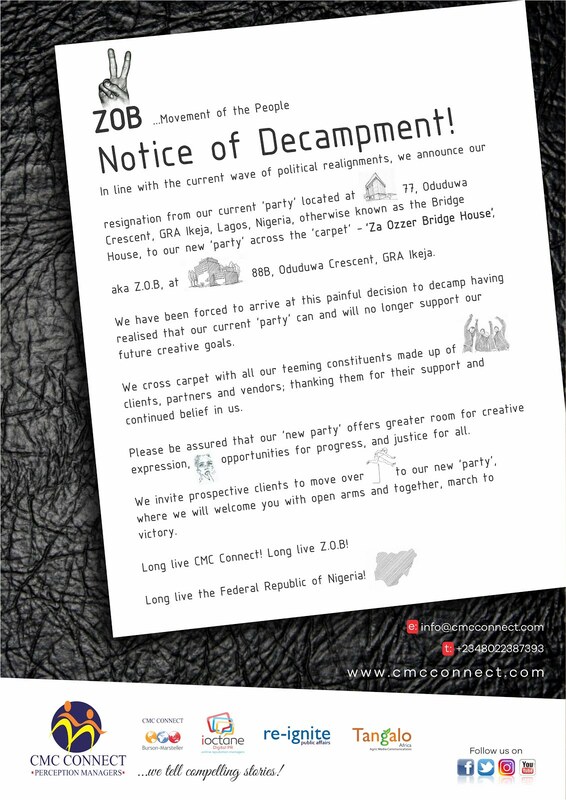 I even read the statement from one of the parties, dissociating themselves from the ‘sensationalized’ event. 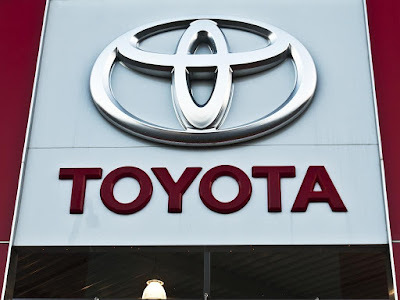 Japanese auto giant Toyota Motor Corp on Wednesday said it was recalling a further 5.8 million cars sold across the globe over potentially faulty airbags made by components supplier Takata. The company said in a statement in Tokyo, that the recalled cars included those used as replacement parts following a 2010 recall. It said the recalled covered airbags installed in cars produced between May 2000 and November 2001, and April 2006 and December 2014. 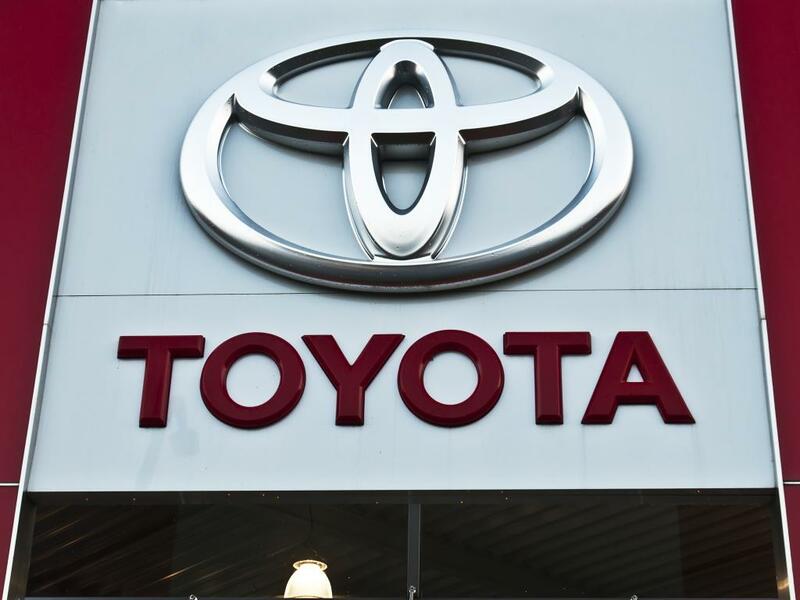 Toyota’s latest recall includes the Corolla, one of the world’s best-selling models, and the Vitz or Yaris subcompact hatchback model. The Board of Directors of Nigerian Breweries Plc has announced an interim dividend of N7.929 billion, that is N1.00 (One Naira) per ordinary share of 50 kobo in the share capital of the Company for the 9 month period ended 30th September 2016. 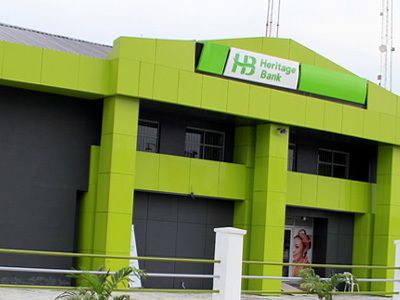 This is despite the marginal decline in the company’s profit for the period occasioned by the current challenging environment. This was revealed in a corporate filing of the company’s results at The Nigerian Stock Exchange. The statement signed by its Company Secretary/Legal Adviser, Mr. Uaboi Agbebaku shows a 4 percent year-on-year rise in the revenue of the Company for the period ended September 30th 2016 but an 11% decline in Operating Profit. The unaudited and provisional results indicate that the company’s revenue rose from N214. 918 billion recorded at the end of September 2015 to N222.716 billion in the same period in 2016. The statement attributes the 11% decline in Operating Profit of the Company which stood at N37.962 billion at the end of September 2016 from the N42.766 billion in the same period in 2015 to higher input costs as a result of rising inflation combined with the devaluation of the Naira. The negative impact of scarcity of foreign exchange combined with the Naira devaluation more than offset the lower interest costs resulting in a 94% increase in Net Finance Costs. 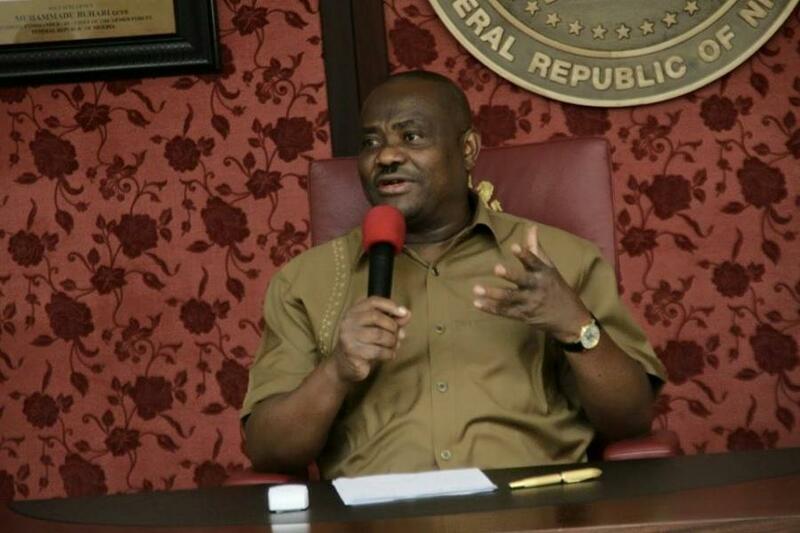 A Non-governmental Organisation, Media Initiative against Injustice, Violence and Corruption- MIIVOC has called on Rivers State Governor, Ezenwo Nyesom Wike to step in and resolve the difference between the Egi Community in Ogba Egbema Ndoni Local Government Area of the State and Total Oil Company in the area before it degenerates. Executive Director of MIIVOC, Dr. Walter Duru, who made the call in a statement made available to newsmen, in Port Harcourt on Wednesday, warned that the lingering disagreement between the two parties could worsen the already threatened security situation in the area. 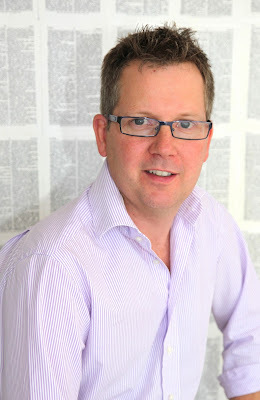 “Only businesses with strong fundamentals, a consistent approach and gutsy resilience have been able to weather the particularly tough business environment in sub-Saharan Africa over the past 12 months, and they are going to have to maintain a robust constitution for the foreseeable future,” says TBWA’s Director of Africa Operations, Graham Cruikshanks. Speaking ahead of TBWA\ Africa’s annual Africa Conference, Cruikshanks says the group intends to kick Disruption up a notch when it hosts its 2016 conference in Windhoek at the end of the month. “This is in line with TBWA\’s global 21st century ambition to use Disruption as the engine to drive growth by attracting 21st century brands. As part of its contribution to nation building, Flash I.T Solutions (FITS) has announced a non-profit contest for non-profit organizations and startups to win a free website package. "We understand that a functional website is very important to non-profit organizations and startups. We are aware that these organizations sometimes run on a slim profit margin, so we want to help ease their burden. A functional website will boost their reach and can also help in attracting sponsors, building volunteers, and spreading the organization’s mission within the community, while helping SME startups to expand customer outreach and increase profit", FITS said in a statement. Inform all of your friends and families to vote for your entry. The highest number of votes determines the winner. Entries and votes are subject to the rules of the contest. Please read the rules carefully. 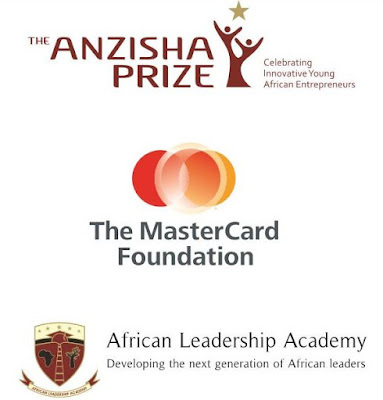 African Leadership Academy and The MasterCard Foundation are pleased to announce Heritiaina Randriamananatahina, 22 year old agriculture entrepreneur from Madagascar, as this year’s winner of the $25,000 Grand Prize in the sixth annual edition of Africa’s premier award for youth entrepreneurship. Heritiaina is the founder of Fiombonana, an agro-processing enterprise that manufactures dairy products and confectioneries using only Malagasy raw materials, employing farmers and providing local job opportunities. Heritiaina was selected from a competitive pool of diverse entrepreneurs from all over Africa. For the first time ever, Anzisha Prize is pleased to award one of the top prizes to a finalist from Madagascar, creating a truly pan-African network of entrepreneurs who represent Africa’s best youth entrepreneurs. This year, Anzisha Prize celebrates increased representation of winners from francophone countries. The first runner-up was environmental entrepreneur Yaye Souadou Fall, 21, from Senegal (who will receive $15,000) while agricultural entrepreneur N’guessan Koffi Jacques Olivier, 19, from Cote d’Ivoire was the second runner-up (and will receive $12,500). The presence of two agriculture entrepreneurs in the top three is emblematic of the important role agriculture plays in Africa’s economies. Agriculture represented the sector with the largest share of applicants for the prize this year. The Agriculture Sector Prize was also claimed by N’guessan Koffi Jacques Olivier who demonstrated the potential for agriculture to create jobs for youth. 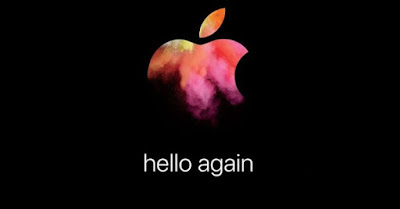 On Tuesday, Apple announced that annual sales fell to $216 billion in the 2016 fiscal year ending Sept. 30, the company's first annual sales fall since 2001, the year the iPod was introduced. Apple had a record $234 billion in sales in 2015. According to CNN Money reports, the tech giant largest source of revenue is the iPhone. Only 45.5 million were sold in the September quarter, down from 48 million during the same time in 2015. The company says it is projecting it will have sales of $76 to $78 billion in the upcoming quarter, up from $74.8 billion last year. Total Nigeria Plc partnered with Kasher Consulting to organise the third edition of “Total Job Shadow”, which took place on October 12, 2016 at the Kaduna Blending Plant and Kaduna Sales Office simultaneously. It is an employee engagement activity designed to increase career awareness among senior secondary school students and to help model students' behavior through examples set by employees who serve as their mentors. Through the experience at the Job Shadow, the link between classroom learning and practical workplace requirements is re-enforced in the students. A total of thirty students from the following secondary schools participated in the program: Government day Secondary School Makera, Government day Secondary School Kakuri and Queen Amina College, Kakuri. Representing the Managing Director, Mr. Jean Philippe-Torres, the Corporate Affairs Manager, Mr. Albert Mabuyaku facilitated a leadership workshop to educate the students on how to become exceptional leaders. 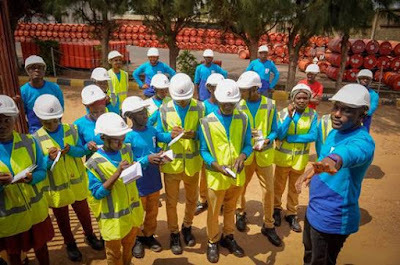 Other key features of the day's activities included pairing students with employees to enable them experience firsthand the employee's work environment, occupational skills in practice and potential career options, facility tour of the blending plant by Kaduna Plant Manager, Mr. Daniel Chukwu as well as a field trip to Total service stations organised by the Retail Sales Manager (Kaduna), Mr. A. J. Jimoh. 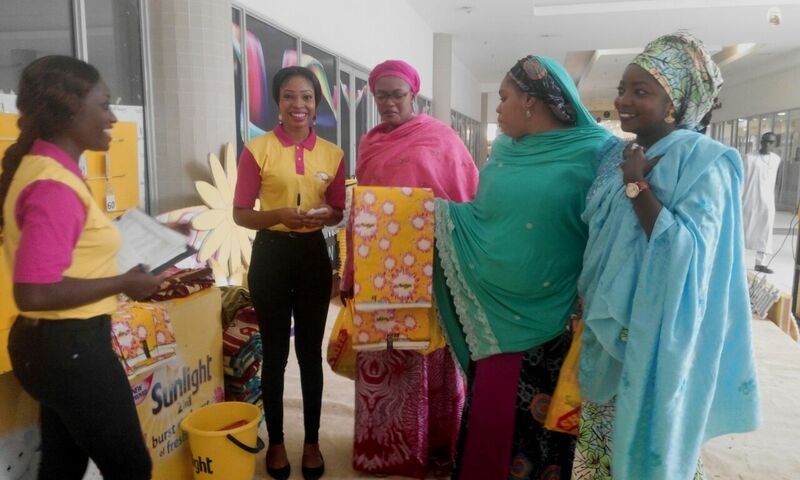 Life lessons keep pouring in from the drama-filled scenarios on Sunlight’s highly entertaining Hausa-language TV series, Laraba’s World. The drama series which started airing on TV screens across northern Nigeria from September 15, 2016 and also on Arewa 24 TV on DSTV (channel 261) and GOTV (channel 101), Sundays 7-7.30pm, show cases the daily lives of northern women in an engaging, educating and entertaining way. 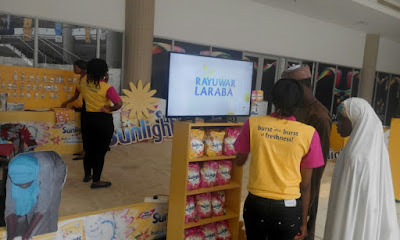 The Hausa language (with English subtitles) soap opera, revolves around the lead character, Laraba (a school teacher) who is wise, resourceful and versatile; a real “Sunlight woman”. In her community, Laraba always finds a way to help resolve the crisis in their lives and homes in a very intelligent and entertaining way. In episode two, she used her wisdom to help Hadiza to achieve her dreams when it was almost killed even before it started by advising her to turn the events centre into Abubakar Centre for Women, where women can meet and can also be beneficial to the community. Laraba also helped her student, Kande out of a tight situation in episode 4 when her mother wanted her to get married at an early age and leave school. Laraba was able to convince Kande’s mother to see the wisdom of giving out a more educated daughter and Kande was able to return to school. Leading ICT Company, Microsoft has called on individuals and organizations to pay needed attention to ensuring cyber security in the face of global cyber threats. 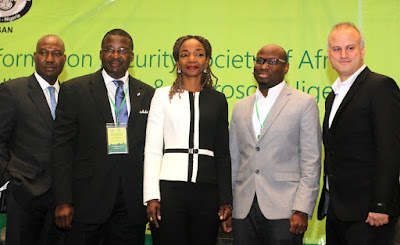 This call was made at a Cyber Security Summit organized by Microsoft in conjunction with Information Security Society of Africa Nigeria (ISAAN) at Eko Hotel and Suites, Lagos. Dr. David Isiavwe, President of Information Security Society of Africa Nigeria (ISAAN) noted that October has been declared as cyber security month all over the world, to engage with consumers in order to raise cyber security awareness. He hinted that cyber attackers are getting more sophisticated such that the number of days it takes to detect an attack has increased from about fifty-eight days three years ago to two hundred days. In his submission, Erdal Ozkaya, Cyber Security Architect, Microsoft Middle East and Africa stated that cybercrime is no longer a hobby, it has grown into a big business and organizations cannot continue to leave their cyber-security to chance. “Addressing today’s threats requires a new approach. If you look at how security threats have evolved over time, you will find some disturbing trends. Enterprises that are used to attacks from individuals and small groups that were out for mischief or personal notoriety have been replaced by well-funded criminal organizations seeking profit,” Ozkaya said. According to a new industry report from IDC out this morning, smartwatch shipments experienced “significant” declines in the third quarter, as total shipments were down 51.6 percent from the same time last year. Just 2.7 million units were shipped in Q3 2016 versus 5.6 million in Q3 2015. While IDC offers several explanations as to why sales are dropping – including issues related to launch timings, Android Wear delays, and more – the numbers still indicate how smartwatches are having a hard time finding traction among a majority of consumers. 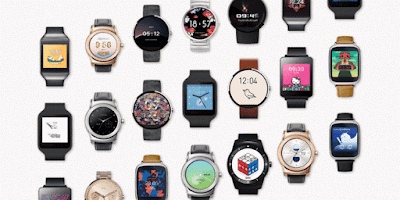 "The sharp decline in smartwatch shipment volumes reflects the way platforms and vendors are realigning," Llamas said. Although Apple Inc. remained the global leader in the smartwatch market during the third quarter, but the segment as a whole saw a massive decline that may indicate waning consumer demand. Ecobank has launched the Ecobank Mobile App, an instant and convenient way of banking via the mobile phone. It is the first unified app delivered by any institution for use in 33 countries. Group CEO, Ade Ayeyemi unveiled the new App at a large product launch in Lagos, which brought together a wide range of customers, including students, various professionals, traders and transporters. 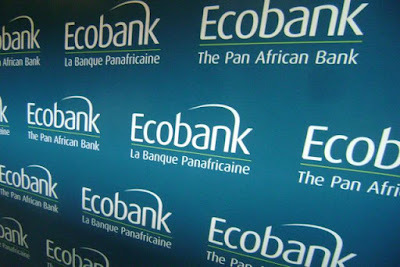 Ecobank board members, shareholders, staff and media were also present at the event. The Ecobank Mobile App uniquely leverages the power of digital to deliver real convenience to customers. 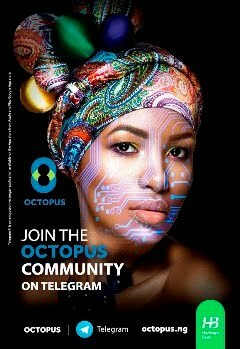 The App gives Ecobank the scale and capacity to achieve its target of attaining 100 million customers in a profitable and sustainable way. The new App enables customers to open a new digital account with no more than a few clicks, with no paper references. 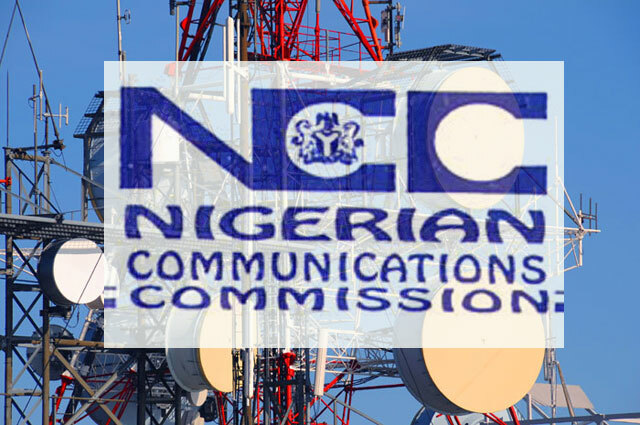 Nigeria Communications Commission (NCC) has reaffirmed its commitment to ensure protection of telecom consumers from market exploitation and empowering them to make rational and informed decision when making their choices of services. 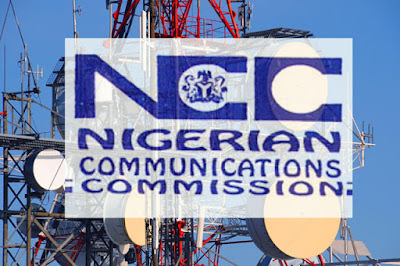 The event was one of the initiatives of NCC to bring together Telecom Consumers in the urban areas with the Network Operators and the Regulator (NCC) to discuss, proffer solutions to Consumer related issues and ensure they have value for their money through effective service delivery. Minkels, part of the publicly traded company Legrand, has been chosen as data center supplier for premier West African connectivity and data center solutions company, MainOne. MainOne blazed a trail in Africa with its undersea fibre optic cable connecting West Africa to Europe and the construction of West Africa’s largest commercial Tier III+ Data Center, MDXi. MainOne, in search of best of breed solutions, conducted a global search for a more flexible Cold Aisle Containment System (CAC) to accommodate the various needs of their global customers with racks of varying widths and heights. 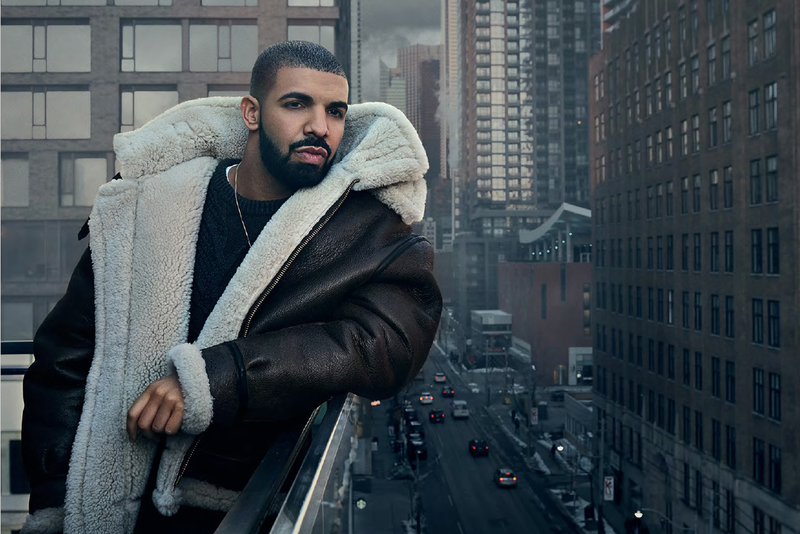 Drake’s ‘One Dance‘ is officially the most streamed song on Spotify ever. The streaming service reports that the smash hit has surpassed 880 million plays on its international platform. The song which featured Nigeria Afrobeat star, Wizkid And British singer Kyla, was Drizzy’s first-ever song to top Billboard’s Hot 100 chart back in May. The track beats out Diplo and DJ Snake’s “Lean On,” which took the crown last year with 526 million plays across the planet. 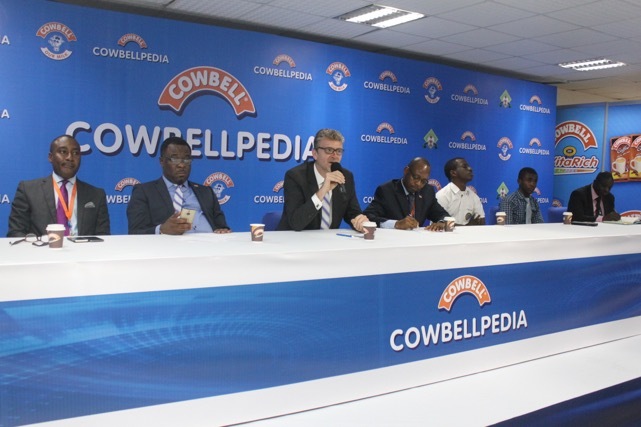 Expectation and preparation have heightened as the build-up to the final show down for 2016 Cowbellpedia Secondary Schools Mathematics TV Quiz Show entered the home stretch last weekend. Wasiu Oladimeji, a teacher at Ota Total Academy, Ota, Ogun State, is optimistic that the school will win this year. In the 2015 edition, the school came fifth in the competition. Two students – Master Ademola Fatoke and Miss Hasanah Adeyanju are representing the school in the finals of this year’s edition. Fatoke scored 98 percent in the qualifying written examination that took place in March, while Adeyanju scored 97 percent. Oladimeji explained that the school has a special coaching arrangement to hone the skills of its representatives for good performance in the competition. 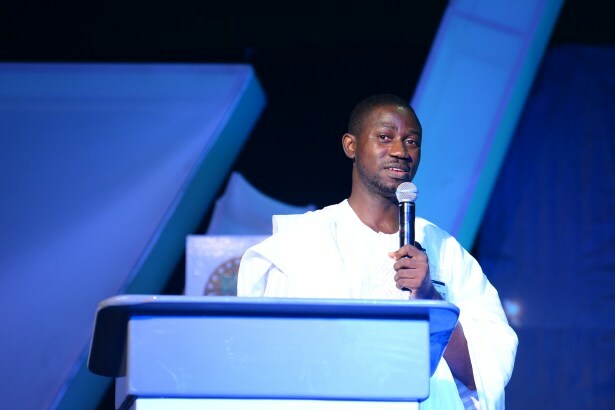 “We have been praying and we are confident that this year, nothing can separate the school from the ultimate prize of One million naira and all-expense-paid education excursion outside the country,” he said. The Ethics Board of the International Association of Athletics Federations (IAAF) has decided against opening a formal investigation into claims Qatari officials had been paying bribes in a bid to secure hosting rights for the 2017 World Championships, supporting the stance of president Sebastian Coe on the matter. 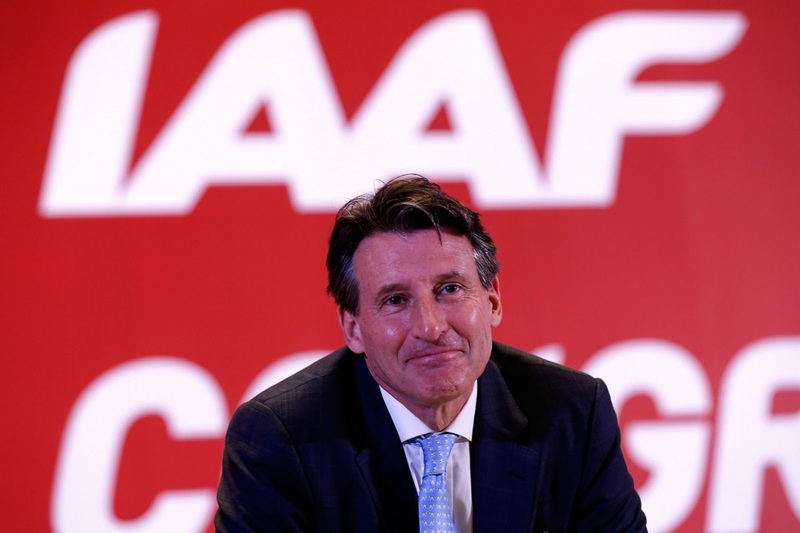 Ed Warner, chairman of the UK Athletics governing body, said an investigation was underway during a British parliamentary committee hearing regarding the athletics doping scandal, which was held in January. Doha lost out in the race to stage the 2017 Championships, which were awarded to London, but the Qatari capital was subsequently successful in securing the hosting rights to the 2019 edition of the IAAF’s showpiece event after defeating rival bids from Barcelona and Eugene in November 2014. Airtel Nigeria has retained the service of mediaReach OMD as its media buying agency after a convincing performance at a keenly contested pitch with Ogilvy Africa and Capital Media. The agency received a nod from the telecom giant to cover its major markets in the sub-region including Nigeria, Ghana and Cameroun. Part of MediaReach duties are to optimize Airtel Nigeria’s media and marketing communications across all channels and to assist in meeting key marketing and business objectives for the brand through cutting-edge integrated marketing communications ideas and deployment for at least another one year. 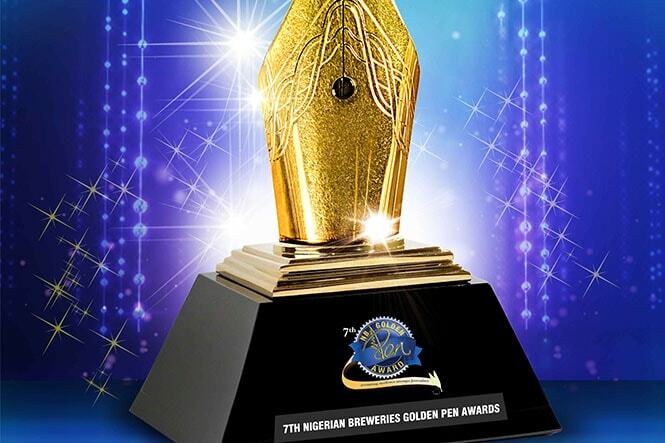 Nigerian Breweries Plc has announced that all is set for its 8th Golden Pen Award ceremony scheduled to hold on Friday, October 28, 2016 at Eko Hotel, Victoria Island, Lagos at 5pm. According to the company, a total of 267 entries were received when submission closed for the award which focuses on published reports on Education, Youth Empowerment and Talent Development in 2015. The ceremony which is the 8th in the series will celebrate and reward journalists who submitted outstanding reports in these subject areas. According to Kufre Ekanem, the award which is in three categories will reward ‘The NB Golden Pen Reporter of the Year’ with a special statuette and N1, 000, 000.00, (One million Naira), the ‘First runner-up in the NB Golden Pen Reporter of the Year’ category will get a Special statuette and N300, 000.00, while the ‘Second runner-up NB Golden Pen Reporter of the Year’ will get a Special statuette and N200, 000.00. All the food and beverages offered within the lounge are complimentary for Emirates First Class and Business Class customers, as well as Emirates Skywards Platinum, Gold and Silver members - the airline’s frequent flyer programme. Airtel Nigeria has unveiled a new interactive USSD self-service short code, *121#, for easy usage and improved customer service delivery. With the new short code, customers can access all the services on the network faster, activate and deactivate services as well as have unlimited access to the exclusive value offerings available. Quick and convenient data purchase is also available on the new USSD short code. Indeed, the introduction of the new short code demonstrates Airtel's commitment to providing customers with innovative solutions and providing them proactive customer service. AT&T on Saturday announced its plans to acquire media giant Time Warner for $85 billion — a blockbuster marriage that would transform the telephone company into the United States largest entertainment company and a major force in Hollywood. Should the deal be approved by regulators, AT&T will take control of HBO, CNN, TNT, Warner Bros. studio and the rest of Time Warner’s assets. 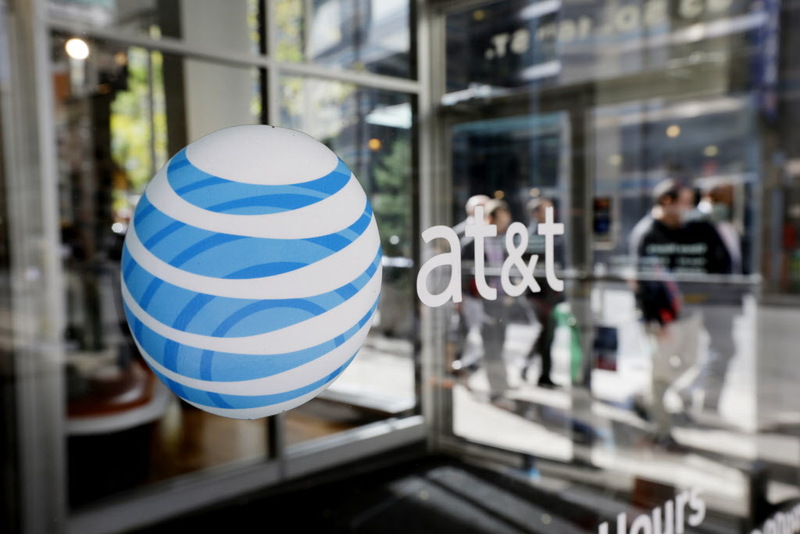 "It's a great fit, and it creates immediate and long-term value for our shareholders," AT&T chairman and CEO Randall Stephenson said in a statement. 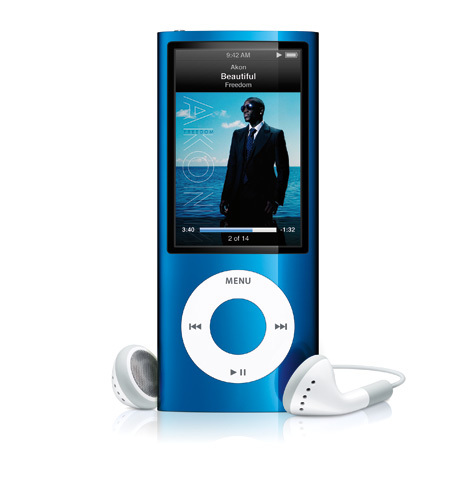 Apple co-founder and former CEO Steve Jobs on October 23, 2001 launched iPod, a portable music player that transformed the way people buy and listen to music. iPod laid the foundation for the powerhouses that Apple has had with the iPhone and iPad today. Early iPod featured a 5GB hard drive, FireWire port for syncing and a physically-rotating scroll wheel that could save 1,000 songs; the next set of the device came with touch control and added Windows support. The device has also evolved as tech innovation advices thus extending into three versions: iPod- the ultra-compact iPod Shuffle, iPod Nano and the touchscreen iPod Touch. Abdulsamad Rabiu (L), receiving his 'Industrialist of the Year' award from fmr. Governor of Anambra State, Peter Obi at the 2016 CNBC All Africa Business Leaders Award held in Lagos recently. 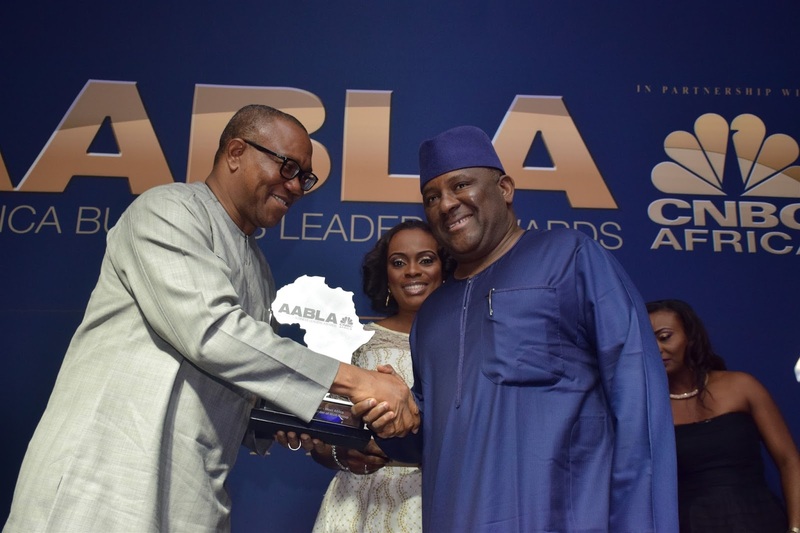 Billionaire industrialist and Executive Chairman of BUA Group, Abdulsamad Rabiu, has emerged winner of the 2016 West African Industrialist of the Year at the prestigious All Africa Business Leaders Award (AABLA) held in Lagos recently. Rabiu was recognized as Industrialist Leader of the Year – West Africa at a regional ceremony for his enormous and consistent contributions to the growth of the Nigerian/West African economy as it aims at spreading across other African countries. CNBC Africa has pioneered All Africa Business Leaders Awards (AABLA) since 2011 to salute and recognise bold leaders and change-makers of business in East, West and Southern Africa, who through strength, innovation and foresight induce positive changes in an evolving corporate Africa. Group Managing Director and Chief Executive Officer, First Primus West Africa Li​​mited, Otunba Seni Adetu, and the Executive Director, Education, Chartered Institute of Management Accountants (CIMA), Dr. Noel Tagoe,have advised Nigerian undergraduates to remain focused and be more strategic in the application of their skills in their various endeavours in order to be successful. Speaking at an Open Day session organised for members of the CIMA Undergraduate Club from the University of Lagos (UNILAG) at the Lagos Headquarters of First Primus West Africa in Lagos. Adetu and Tagoe in their speeches to the students said the youth must have clearly defined aspirations and objectives, and must define how they would like to achieve it. L-R: Executive Director, Education, Chartered Institute of Management Accountants, Dr. Noel Tagoe; Group Managing Director/Chief Executive Officer, First Primus West Africa Limited, Otunba Seni Adetu; Executive Member, CIMA Undergraduate Club, UNILAG chapter, Mr. Smart Omokolade Ogunsemore; and the Managing Director/Chief Executive Officer, Invent Media Limited, Mr. Adekunle Adeshina, at the Open Day at First Primus, as part of CIMA mentorship programme in Lagos​. Mr. Adetu, who is also a Director at Fidelity Bank, mentioned that while education is a vital tool which grooms the mind of an individual in understanding the dynamics of life, it is not an outright determinant indefining the level of success of a person. 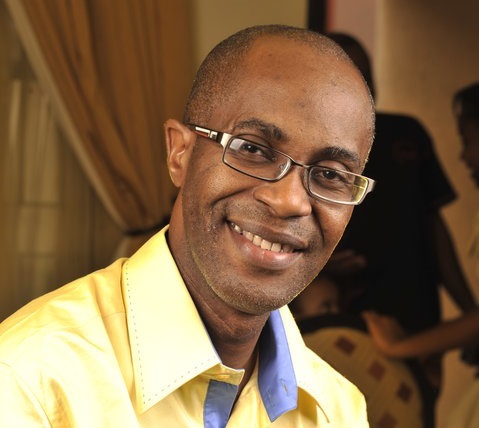 Making reference to his progression as a senior leader in business, Mr. Adetu said young people must open their mind to the possibilities of life irrespective of their educational qualification, and should endeavour to employ their skills in the best possible way, as evidenced by the way he has become a renowned name in marketing, despite having a first degree in Chemical Engineering. 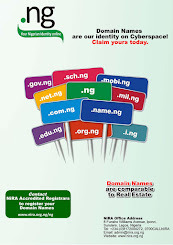 Come Monday, November 7, Black House Media, a Lagos-based PR and Digital agency will be marking its 10 anniversary. 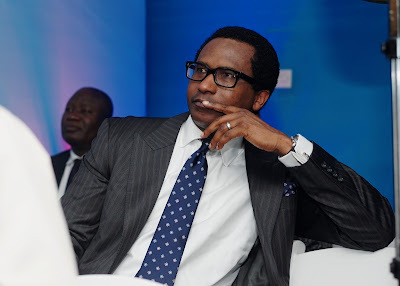 According to the agency’s MD, Ayeni Adekunle, the idea is to celebrate this achievement with friends and colleagues. He added that the party will last throughout the month on social media like Twitter, Instagram and Facebook. “On Monday, November 7, 2016, we will be hosting our clients, friends, staff, journalists, partners, suppliers, etc to an open day of beer, barbecue and brandy. We’re not working all day,” he said. There would be a charity visit to neighbourhood schools on Tuesday, November 8 where the firm would donate gifts for the kids. Mr. Imoh Essien, a teacher from Special Education Center for Exceptional Children, Uyo, Akwa Ibom State has emerged the 2016 Maltina Teacher of the Year at the grand finale in Lagos on Thursday. For the feat, Mr. Essien was rewarded with One Million Naira in addition to Five Hundred Thousand Naira he received as state champion from Akwa Ibom. He will also get One Million Naira every year for five years, a training program abroad and a block of six classrooms built at his school. Essien, a teacher of Computer, Basic Sciences and Physical Education revealed that he draws his inspiration for teaching from his fun loving personality through which he is able to help children with special needs. He added that a strong emotional and mental stability is vital to positively impact children with special needs, a job he has done for twelve years. L-R: Managing Director, Nigerian Breweries Plc, Mr. Nicolaas Vervelde; Minister of State for Education, Professor Anthony Anwukah; 2016 Maltina Teacher of the Year, Mr. Imoh Essien and Professor Pat Utomi, Chairman, Panel of Judges, Maltina Teacher of the Year during the grand finale of the 2016 Maltina Teacher of the Year in Lagos on Thursday. Mohammed Binta Lawan, an English teacher, from Borno State, who was the first runner-up last year, repeated the feat this year, while Ogwu Patrick from Government Day Secondary School, Adankolo, Lokoja, Kogi State emerged second runner-up. While welcoming guests at the event, the Managing Director, Nigerian Breweries Plc., Mr. Nicolaas Vervelde explained that Nigerian Breweries operates with a philosophy of “Winning with Nigeria” and has championed causes that add value to the society since its inception in 1946. 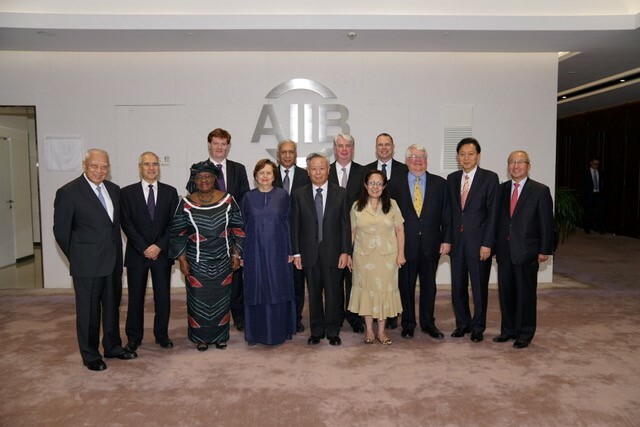 The Asian Infrastructure Investment Bank’s International Advisory Panel on October 19, 2016, held the its first meeting in Beijing. The Panel provides impartial, objective and independent advice to the President, allowing the Bank to benefit from the international experience and expertise of Panel members. At the meeting, the Panel discussed the global economic situation and its implications for the Bank’s operations, the need to promote green infrastructure in the new global agenda and the importance of increasing private sector involvement in infrastructure in the region. The Central Bank of Nigeria (CBN), Heritage Bank Plc, Nigeria’s most innovative banking services provider and The National Youth Service Corps (NYSC) have disbursed a whopping sum of N774million to 310 beneficiaries under the Youth Innovative Entrepreneurship Development Programme (YIEDP). Speaking at the flag-off ceremony for the disbursement of funds to young entrepreneurs under the YIEDP, on Thursday, the CBN Governor, Mr. Godwin Emefiele, commended Heritage Bank for its painstaking effort to buy into the vision of job creation and piloting the programme to a successful stage. The governor, who was represented by the Deputy Governor, Corporate Services, Alhaji Suleiman Barau, said the CBN in partnership with Heritage Bank and NYSC instituted the programme to reduce the alarming rate of unemployment affecting over 16 million unemployed youths in Nigeria, adding that the access to credit via this platform would be a powerful instrument to grow businesses and the economy. He noted that the YIEDP was part of the plan by the CBN and the Federal Government to create over one million direct jobs by 2020. 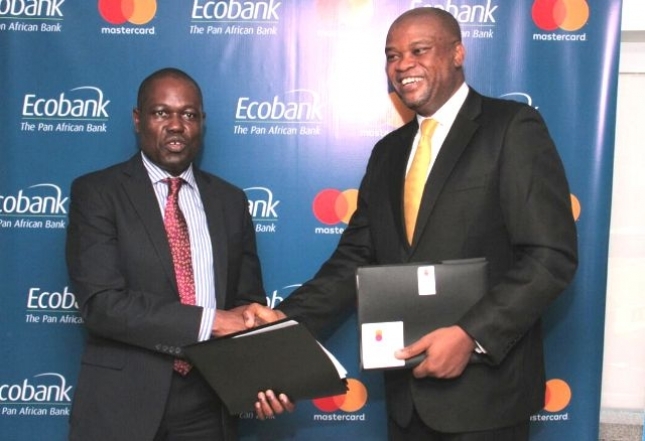 The Ecobank Group has signed a Memorandum of Understanding (MoU) with Mastercard to roll-out Masterpass QR, a mobile payment solution, across 33 African countries. This new agreement will give Ecobank the scale and capacity to achieve its 100 million customer ambition in a profitable and sustainable way by 2020. The MoU signals the largest Masterpass deal of its kind for Mastercard globally, with the QR solution specifically being selected due to Masterpass QR’s ease of use and convenience for merchants and consumers in the selected markets. Ecobank customers in Nigeria already enjoy the benefits of Masterpass QR.Soon all remaining 32 countries in across Pan-African will receive the benefits of the partnership by the end of 2016. The MasterCard Foundation today presented its second annual Clients at the Centre Prize to Hello Paisa. The US$150,000 Prize recognizes the company's innovative work in South Africa to facilitate international money transfer for foreign workers. The award came after the 300+ members of the audience at The MasterCard Foundation Symposium on Financial Inclusion voted for one of three finalist firms competing for the Prize. The Symposium is the annual gathering of financial service practitioners and experts serving the needs of poor people in developing countries, being held this year from October 20-21 in Kigali, Rwanda. 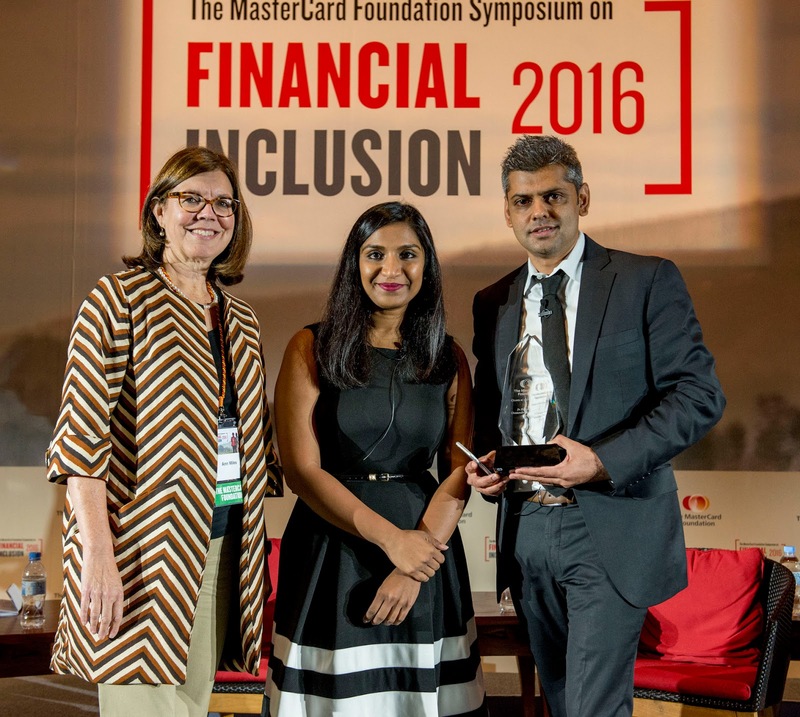 The MasterCard Foundation believes that banks and other financial service providers in developing countries should focus on the needs and expectations of people living in poverty. Putting poor clients at the centre of the design of new financial products and services helps bring underserved people into the formal banking system, improving their livelihoods and their ability to plan for the future. The Clients at the Centre Prize finds and recognizes the most customer-focused organizations working to deliver access to formal financial products and services to poor people. One of Africa's top brand strategist, Lampe Omoyele has quite his position as the Managing Director/CEO of The Nielsen West Africa. Omoyele took a bow at the multinational research and marketing outfit in September 2016. 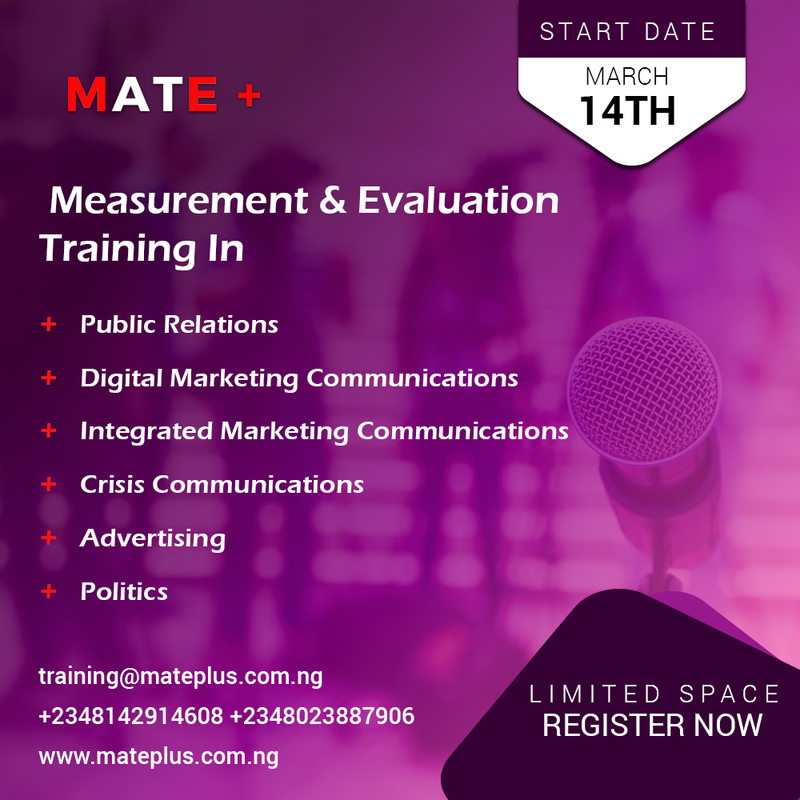 His unceremonious departure is coming exactly one year and seven months after he took the job which made him a reference point for consumer and marketing research in Nigeria. While at Nielsen, Lampe provided insights as well as consulting services to various brands and corporate organsations in the country. In a telephone chat earlier today Lampe, confirmed that he had actually left Nielsen West Africa, but would not disclose what his next port of call would be. “I am no longer with Nielsen, but I cannot tell you now what I am up to next. 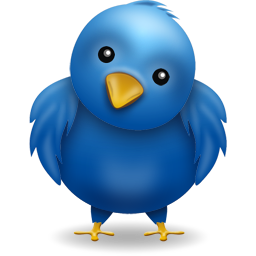 As soon as I make up my mind on that, I will let you know,” he said. Apple confirmed its plan to unveil new MacBook Pro computers during a press conference on October 27. There are rumours that new MacBook will not only offer the latest Intel processors, but also a thinner design — possibly at the cost of full-size USB ports. Apple is expected to outfit the new MacBook Pro with a special OLED panel above the keyboard that can be used for shortcuts, quick launch options and more. TomTom South Africa has hired the service of Tribeca Public Relations as its public relations agency with immediate effect. 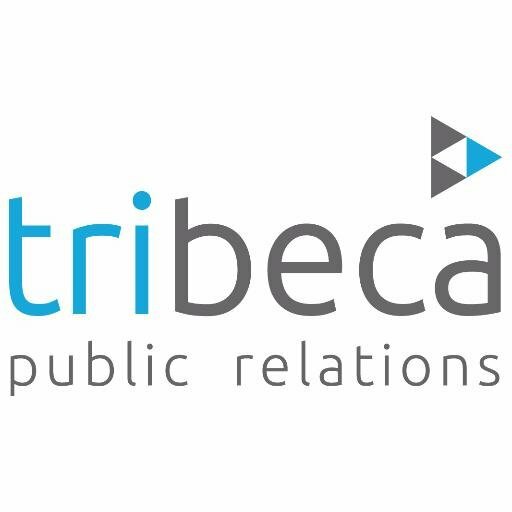 Tribeca will be responsible for developing and managing TomTom’s local communication strategies as well as executing communication campaigns across its GPS sport watches and wearables and drive devices. TomTom is a global leader in navigation devices, traffic and map products, GPS sport watches, fitness wearables and enables businesses to easily manage and improve their fleet efficiency with its fleet management solutions. 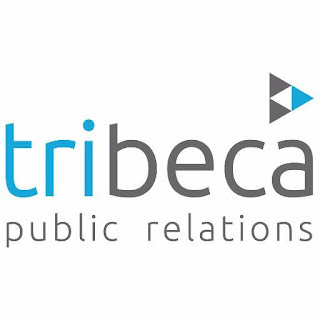 “We’re very excited to be working with the Tribeca team as we believe they are results driven and poised to deliver the calibre of storytelling needed to support our business,” says Julie-Anne Massey-Hicks, marketing manager of TomTom South Africa.